Accidents in the workplace happen. 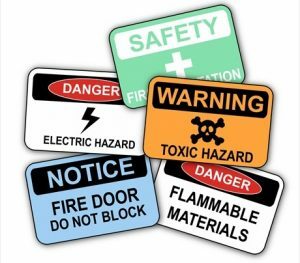 The Bureau of Labor Statistics reported 1,122,960 non-fatal workplace accidents happened in the manufacturing sector in 2016. 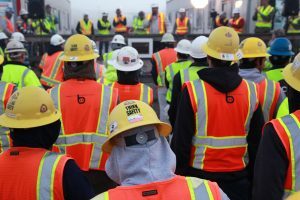 OSHA says 4,500 workers per year die on the job. 314,530 of these injured workrs were out-of-commission for more than a month (I.E. took more than 31 days to recover). With such a significant manufacturing skills gap, we need as many workers on deck as possible. Over 310k people off the job is a scary number. Shop Floor Automations spoke to Phil Mendelowitz – a workplace safety, compliance, and leadership advisor with over 25 years of manufacturing, warehousing, and distribution experience. Phil is part of WarehouseFlow Advisors and runs a popular safety blog called WitzShared. He shared insight on keeping safe in a manufacturing environment. Check out the rest of this story! “I had a manager early in my career who taught me that when you supervise one or more facilities, you take total responsibility for everything that goes on,” Phil told us. He continued on to say at another company, he was promoted from night supervisor to manager. This is where he saw firsthand the cost of workers goofing off on the job. “Horseplay was common in the warehouse/loading dock during the day shift under the old manager. One day an employee lost part of his foot during that horseplay,’ Phil recalled. “If a worker needs to clear a jam on a packaging machine, they should use Lock Out Tag Out so they can then safely clear the jam,” Phil said about workers taking shortcuts. “Yes, there will be downtime, but only for the short time,” Phil says workers who try to clear jams in these machines while they are still in operation is a gamble. If you want to connect with Phil on social media for more insight on workplace safety, you can reach him on Twitter. For more information on how to safely automate your shop floor for better productivity, fill out a contact form or call (877) 611-5825.